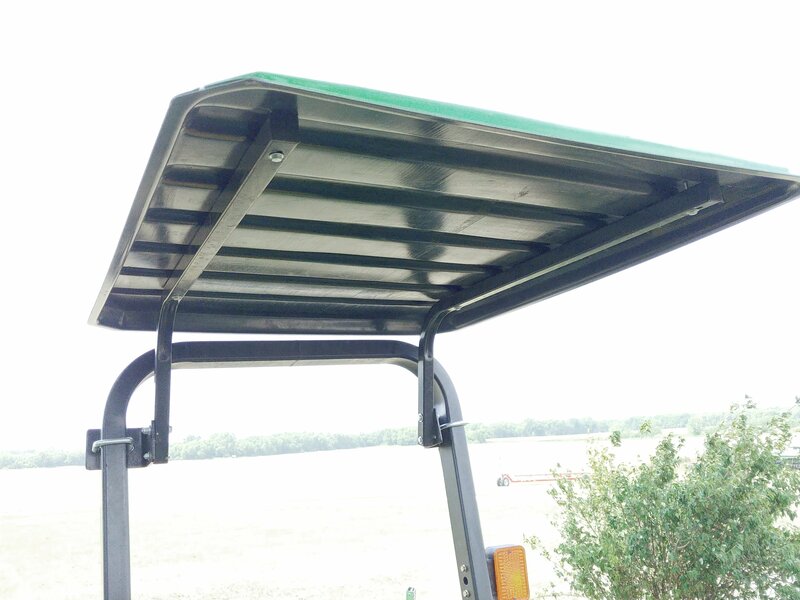 SunGuard Canopy | Buy Now! Watch us make a canopy! 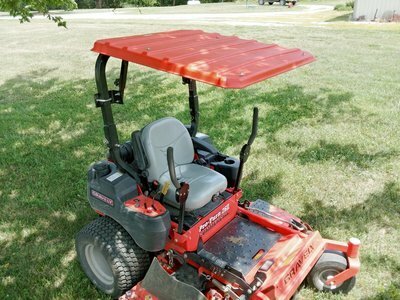 The SunGuard universal tractor + mower canopy is designed to safely and firmly attach to all 2-post rollbars (sometimes called "R.O.P.S." - Roll Over Protection Systems). 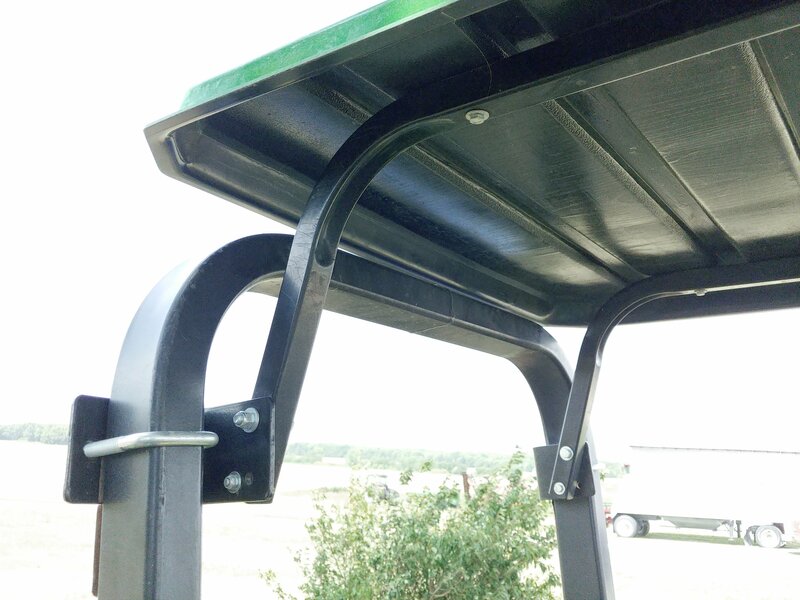 Our unique mounting system allows the owner to adjust the canopy up or down for desired head room. 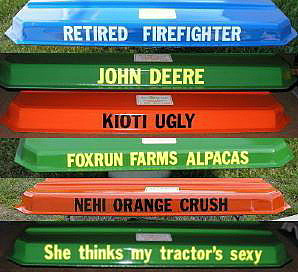 Measuring 37" x 45", each tractor canopy shell is made from tough 5/32” thick modified ABS plastic and molded into a rigid shape. Supporting mounting struts are heavy 14 gage steel tubing and brackets are hot rolled steel. Weight is 36 pounds. 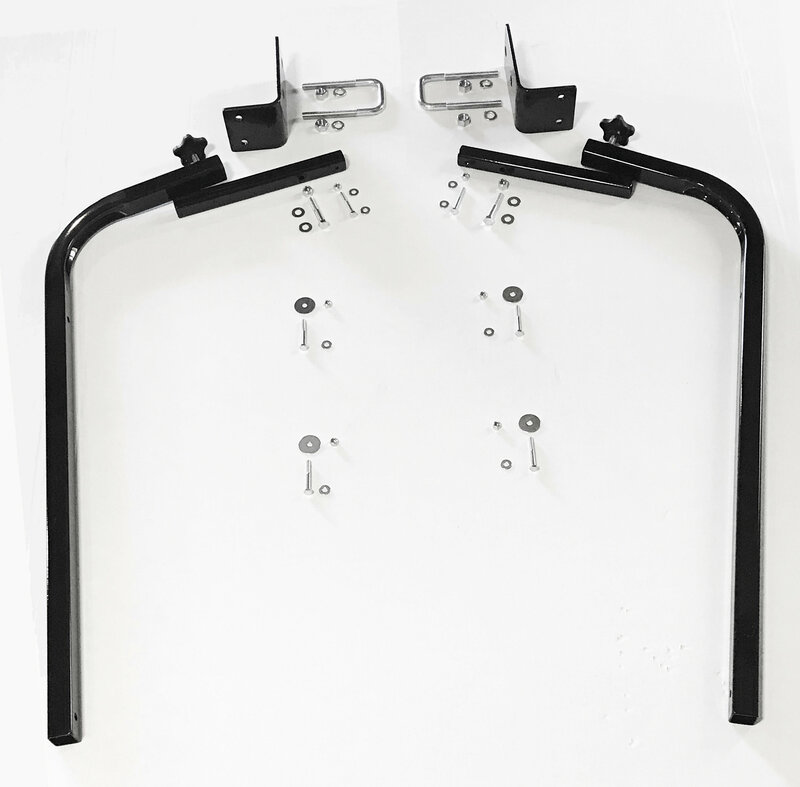 WE OFFER THE MOST FLEXIBLE MOUNTING SYSTEM ON THE MARKET. It's so good, many of our competitors order from us! 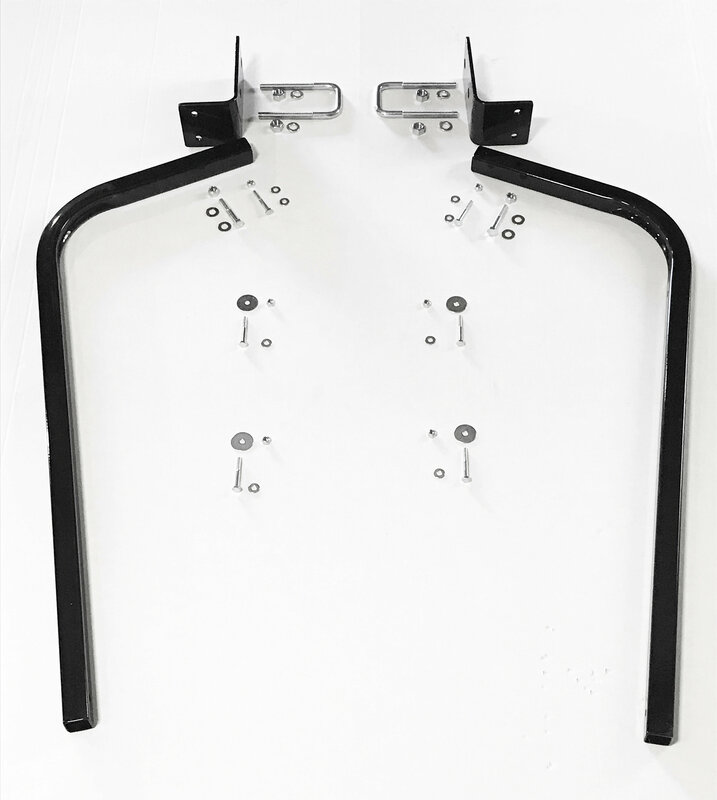 Roll Bar Measurements (outside to outside)? 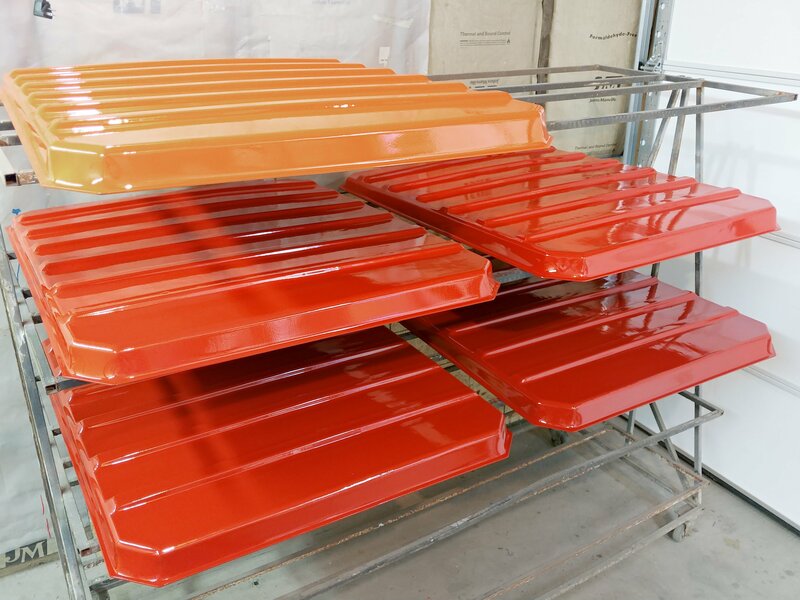 Thank you for contacting SunGuard!